Directions, cover toilet paper roll 1/2 red paper and 1/2 whiter paper. 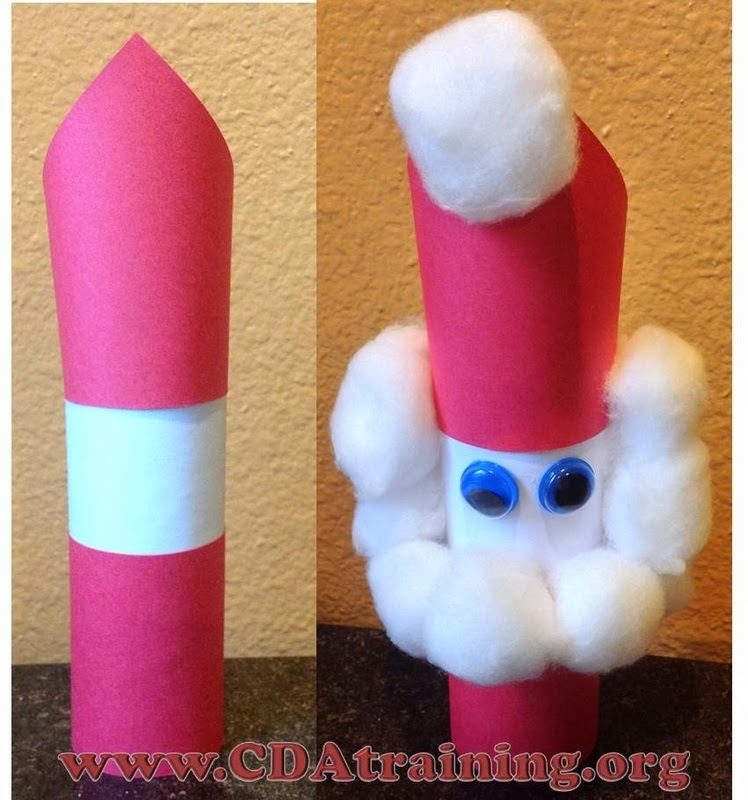 Cut a red triangle and wrap it around the top of the white end to make a Santa hat. Glue cotton balls to create beard and one at the top of the hat. Glue on wiggly eyes.